We know you like to plan ahead, so know what is happening onboard your ship before you set sail. To help the like-minded cruise planners among us, we have all the Celebrity Edge Today daily programs from a recent 2019 7-night Western Caribbean cruise. 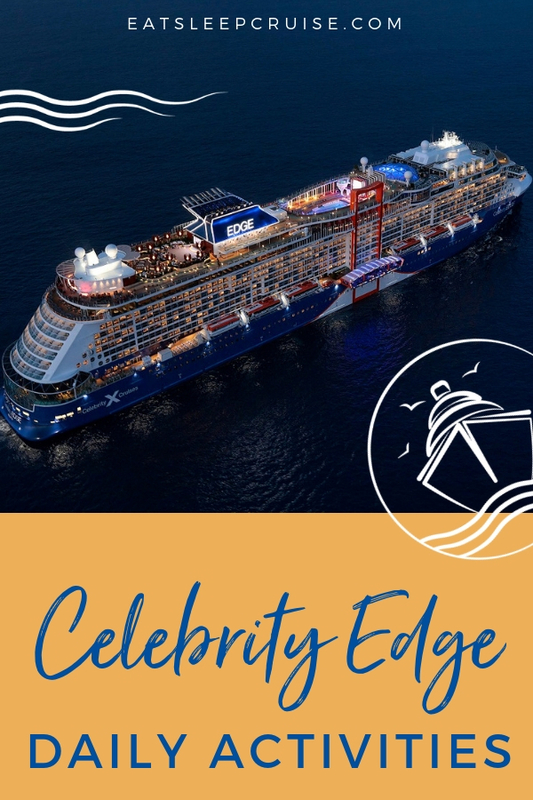 If you are not familiar with Celebrity Cruises’, each day of your voyage, you will receive a list of daily activities and events provided in a small, magazine-like handout known as the Celebrity Edge Today. This information can also be found our your Celebrity Cruises App. Although, we did notice a few discrepancies between the app and the printed version. 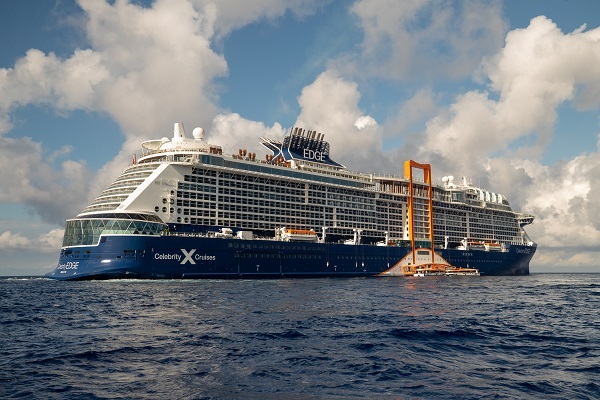 Our Celebrity Edge Today for the 7-Night Western Caribbean itinerary details all of the dining hours for restaurants, entertainment and show times, onboard sales and retail hours, as well as parties and bar hours. This itinerary included embarkation day, two sea days (Day 3 and Day 7), and four ports of call. The four ports of call were Key West, Florida, Costa Maya, Mexico, Cozumel, Mexico, and Grand Cayman. Below, you can view PDF copies of the Celebrity Edge Today. You can also use this link to download the daily. The file is quite large, so give it a minute to download. Note: Celebrity Cruises can alter the activities and events and/or the days and times at which these various activities occur at any time. Also, headliner acts routinely change as well. -During the day, The Club featured several fun activities, including a Laser Maze (Day 3 at 10:15 am), Archery (Day 6 at 3:00 pm, Day 7 at 11:30 am) and Table Top Maze – Free Spirits (Day 3 & Day 7 at 1 pm). The table top maze was a group activity, similar to an escape room, and it was a lot of fun. -Most days, both Eden and The Club had select hours where there was “open play”. These times included activities like puzzles, board games, and video games. It was open to all ages, and was first come, first serve. This was a great way to spend a day indoors, especially in the event of rain. 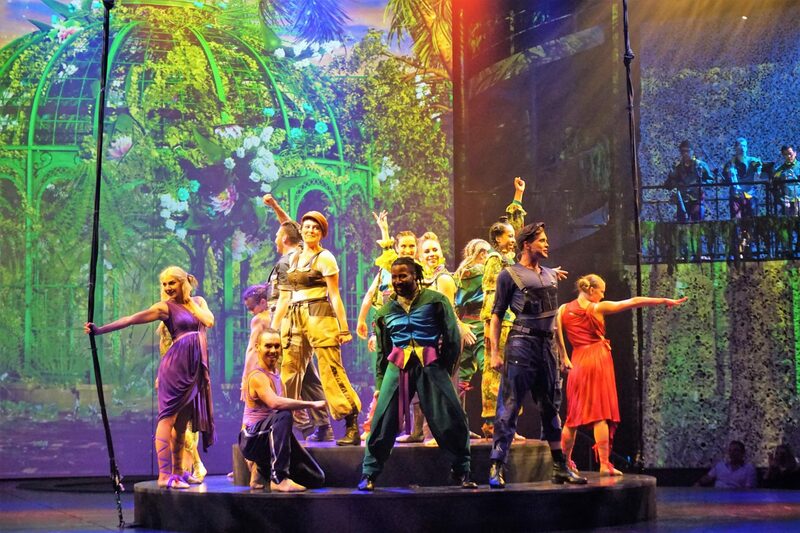 -Every night, the Theater hosted a different production show. There were two show times, an early time at 7:15 pm and a later time at 9:15 pm. You do not need reservations for the shows. On our sailing, these nightly shows included two different comedians (Night 1 and Night 5) along with 5 all new shows. Three of these shows were technologically-enhanced production shows, with our favorite being A Hot Summer Night’s Dream (Night 7). The two new “resident” headliner acts had the feel of a modern-day concert with a live band and digital enhancements courtesy of the high-tech screens found in the theater. The first performer was Ashlie-Amber in The Purpose (Night 3) and the second performer was Marcus Terell in Hype (Night 6). Most shows ran between 45 to 60 minutes. -Live music was featured usually in the Grand Plaza on Deck 3 or in the Club on Deck 4. There was also performance art most nights in Eden, movies on the big screen in the Rooftop Garden, game shows, a Nocturnal (White) Party, a Silent Disco, and more. Do you have plans to sail on this new Celebrity Cruises’ ship? 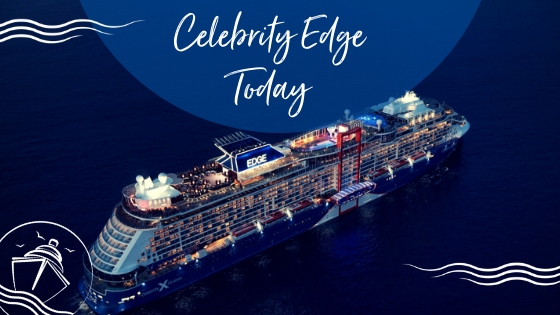 Do you have any questions about the Celebrity Edge Today Cruise Daily? Drop us an anchor below to let us know about your favorite events on Celebrity ships.